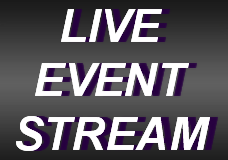 Produced, directed and written by Kristin Pape, this unique comedy is based almost entirely on visuals, with little to no dialogue. 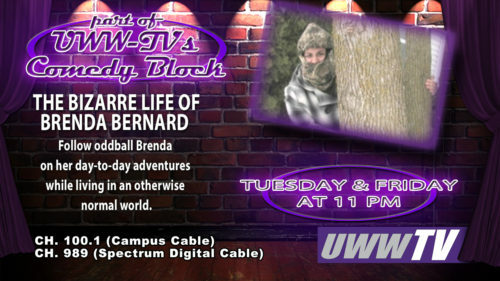 Each episode follows oddball Brenda on her day-to-day adventures while living in an otherwise normal world. 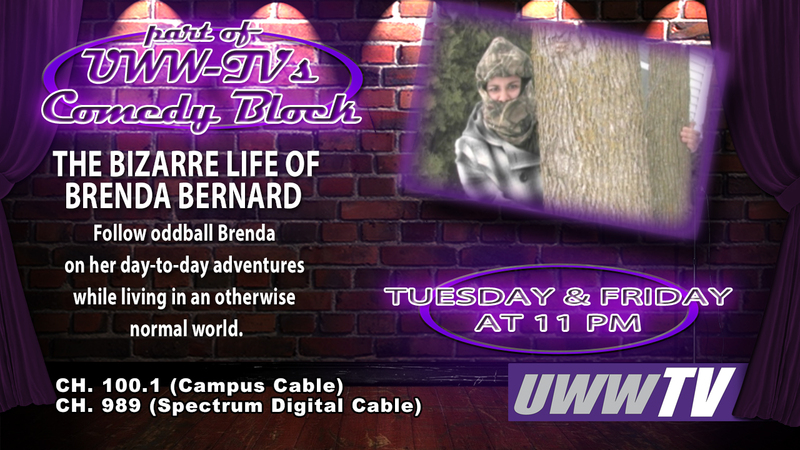 Originally produced in spring of 2011, reruns of Brenda now make up part of UWW-TV’s comedy block.